anyone have a stock ported plenum? you should be able to take the horse off yours and rtv it to that one, he said his is just loosely attached anyways. it does look like its ported pretty well i will agree, but making claims like that should get him kicked in the nuts. oh i agree, there's no way that'd make more power than an accufab. i could get an accufab plenum for hella cheap from tcstangerv6 as i get all his handmedowns and he's gettin the 6061 plenum, but, it's too flashy for me. Tell him I want his plenum lol. I have no idea what the "6061" plenum looks like inside (they don't seem to show that), however as a once manufacturing engineer I can tell you that it would be a whole lot cheaper to make than any of the cast and machined plenums--and unless it has some internal conduit it would perform horribly on an n/a engine. 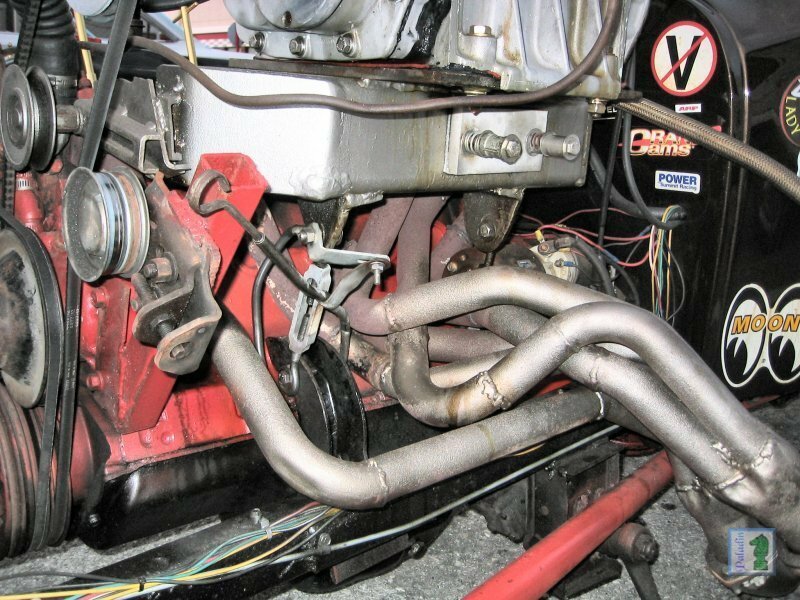 It sure looks "trick", however the cross-currents and turbulences at the transition from the box-section upper plenum to the oval inlet at the lower plenum (manifold) would be staggering. On a f/i engine these issues largely go away as it all becomes a pressure vessel--although I would love to see some back-to-back runs of the 6061 vs. an Accufab. Even running f/i I bet the Accufab would win. I have seen pictures of the outside--it's the inside passage I'd like to see. There's a reason why Accufab and others go to the expense of making molds, and then casting and machining, their products. If a slab-sided, box-section, weldment worked as well or better it would be a lot cheaper to manufacture and both OEM and after market vendors would make them that way. 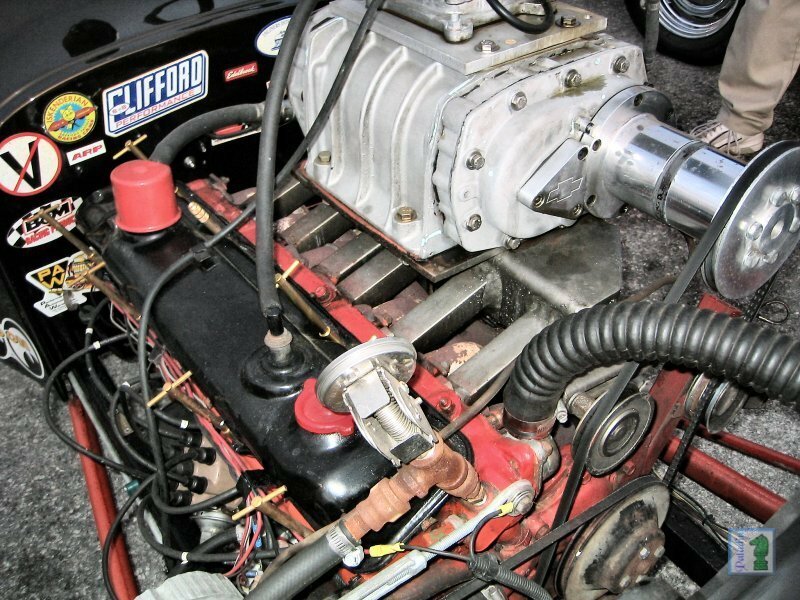 Don't get me wrong here, this is an innovative solution to the dilemma presented in the ad copy (mating a modular TB/intake to the Edelbrock manifold), and may indeed be better than using a conventional modular upper plenum with that manifold. What I don't buy is that it is the best way of doing so, or that it would add anything other than a trick look when plopped on top of standard PI manifold. I have seen scores of similar innovative methods of mating things up over the years--I had an uncle that worked for Raytheon and made a table saw, planer. and band saw of heliarc'd aluminum plate and bar. Such things are optimal only in that they meet an immediate need not met by any other affordable/available product; in my uncles case it was the affordable part. and i can answer the why for you. notice the chevy stamp on the front of the blower. Sometimes smoother doesn't equal better. anyone got an aftermarket cd player with mach system? Quick Reply: anyone have a stock ported plenum?